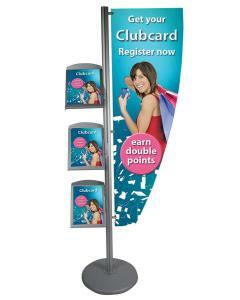 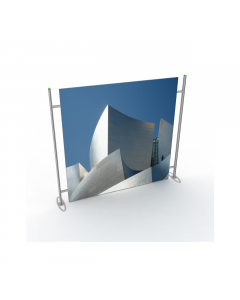 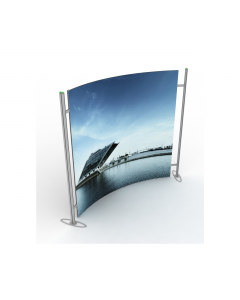 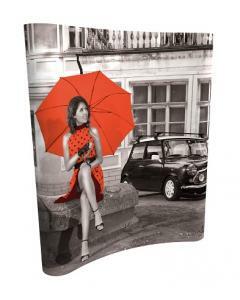 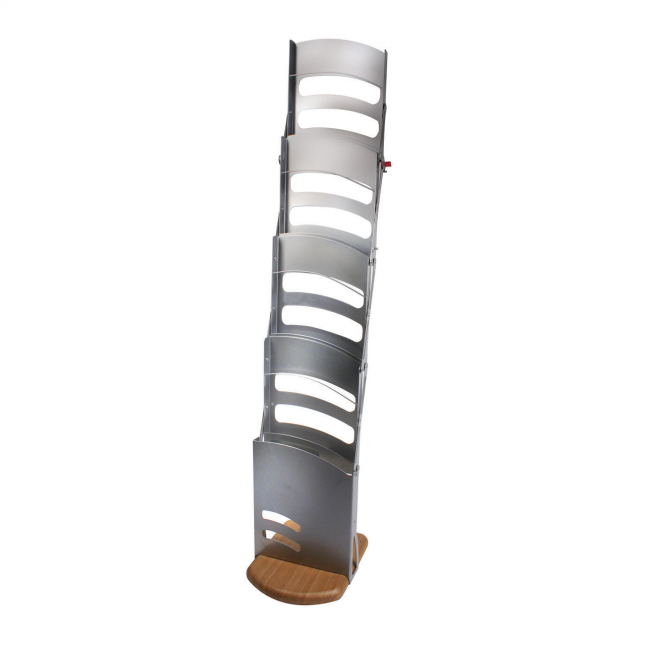 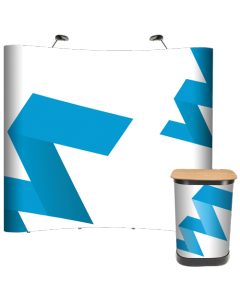 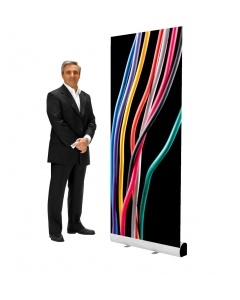 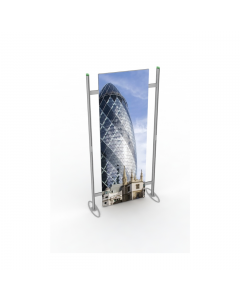 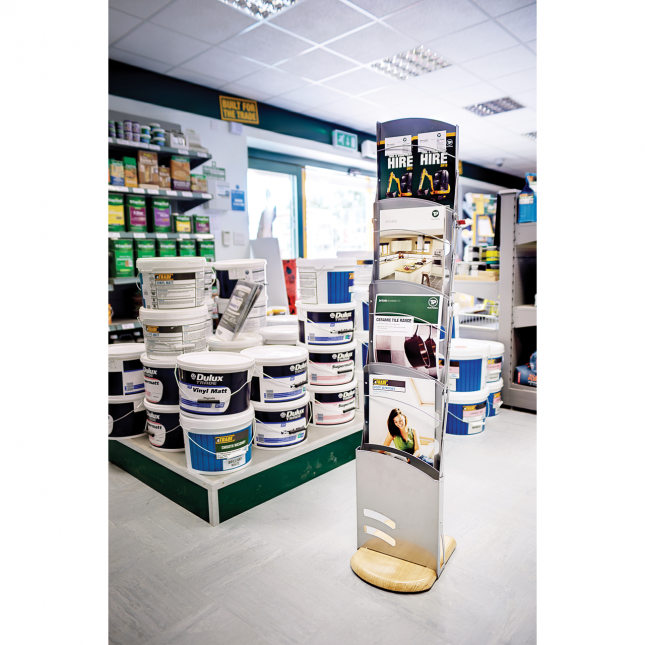 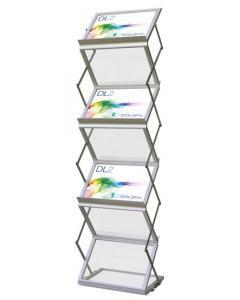 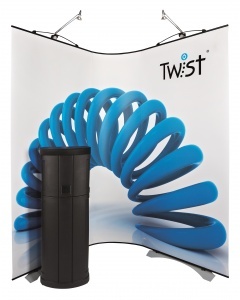 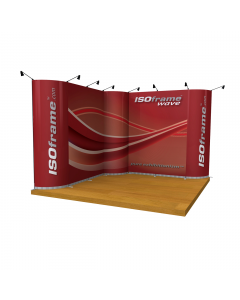 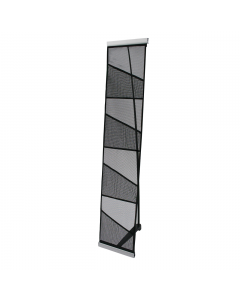 The Aura Literature Stand is a versatile and sturdy leaflet or brochure display and would look professional displaying company literature on exhibition stands, trade show displays or as a more permanent feature in sales showroom or reception area. 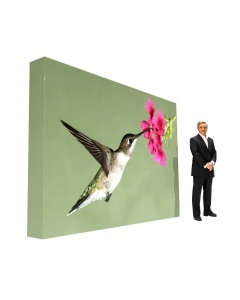 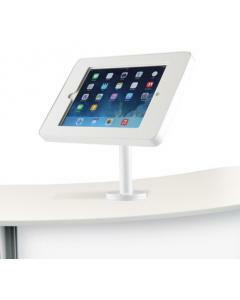 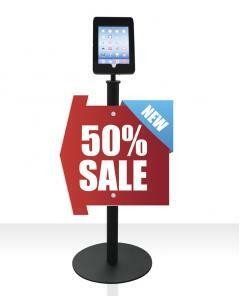 It comes in a silver finish with a birch effect solid base. 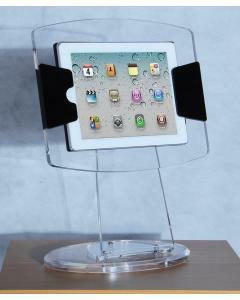 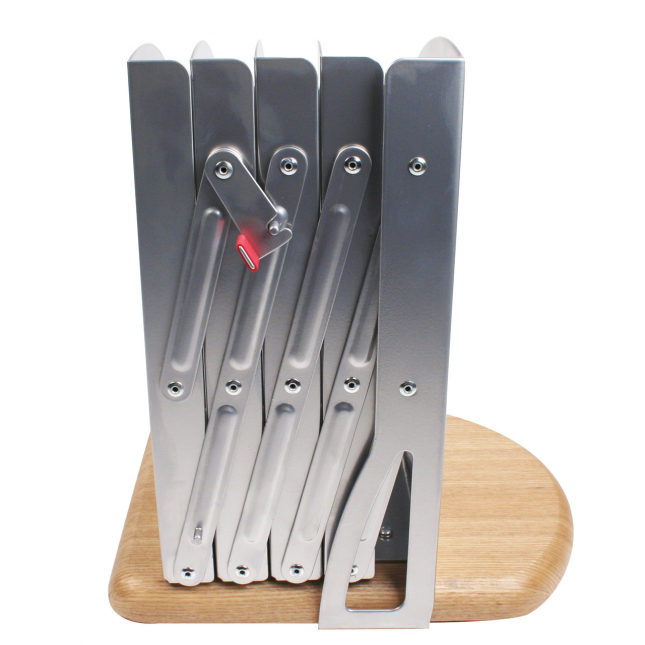 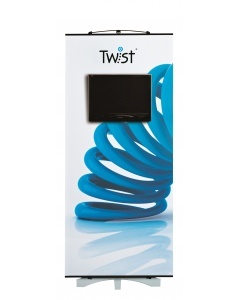 It folds down neatly into a padded carry bag and is can be put up and collapsed in one easy movement. 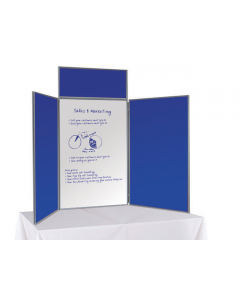 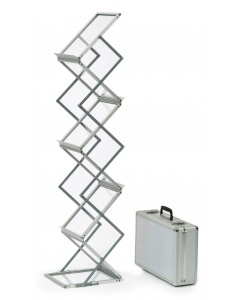 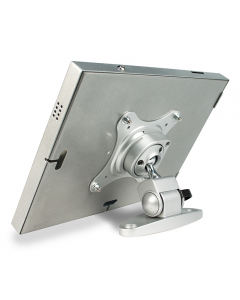 This is one of our lightest literature stands and that combined with its portable foldable feature make it a winner for exhibitors. 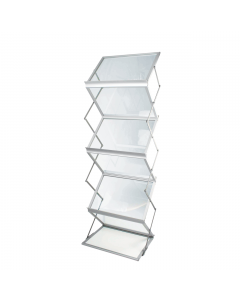 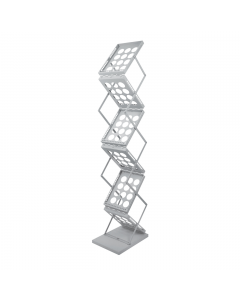 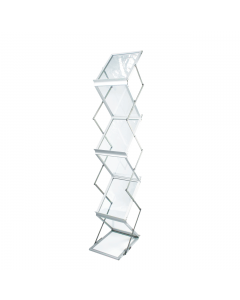 The sturdy structure and birch effect solid base also make it a popular choice as permanent leaflet holder for your showroom or reception. 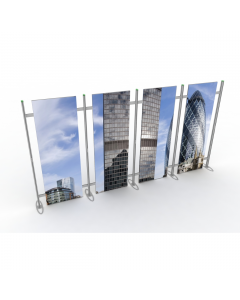 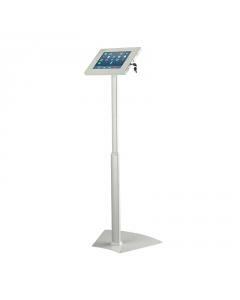 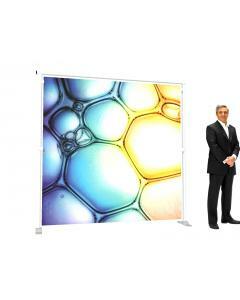 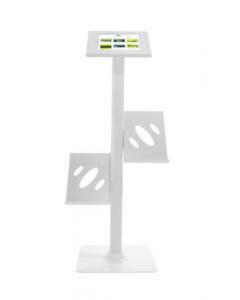 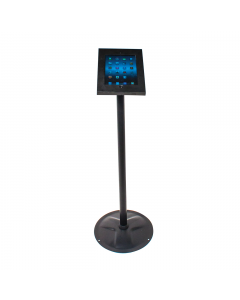 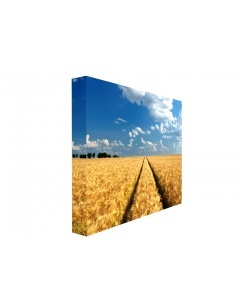 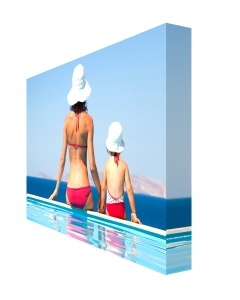 Why choose the Aura Literature Stand?